Matt Taylor has urged Exeter City supporters not to boo Paul Tisdale when he returns to St James Park on Saturday. The Grecians manager took over at the helm when Tisdale left in the summer, following supporters voted to serve notice on his contract in 2016. 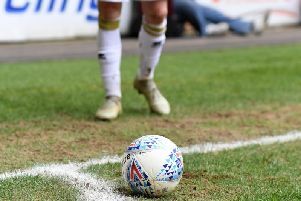 The clubs head into Saturday's game separated by one position and three points in League 2, and Tisdale admitted the game would present him with mixed emotions. Taylor though believes Tisdale should be welcomed back by the home fans. "He deserves full respect from everyone at this football club for what he's done for the club," Taylor said. "He's a passionate bloke and really cared deeply about this club. "I hope it's another game where St James Park will be relatively full, and a good atmosphere and a positive atmosphere, but also a respectful atmosphere, I think that's vitally important. "As a club I think we do things the right way, and I hope our fans are the same this weekend."